In her blog, one writer urges other aspiring writers not to worry about establishing an online presence or building an author platform until they actually have a book to sell. Jane Friedman, who is the “community director” for the Writer’s Digest brand (the online community, the magazine, the books), thought it was so important to contradict this advice that she dedicated an entire blog post to it. Jane doesn’t use the term ‘author platform’ — and this is refreshing — but ‘audience development’. I’m not sure this term is entirely accurate, since ‘audience’ implies a passive group of people who do nothing but receive what you give them. Social media has forever changed this, since readers now have the ability, and the expectation, to connect with writers online, give feedback, comment on their blog posts, etc. Instead of being passive, readers interact, contribute, and participate. So you’re not just developing an audience; you’re developing a community that grows up around your work — and you. In their new website, publishing giant Simon & Schuster dedicates an entire section to teaching writers about social media, blogs and blogging, videos and podcasts. Their message is clear: we expect you to do this. we need you to do this. you need to do this. Because we’re living in the age of the long tail. Which means that a very small number of books will explode into massive, mega-selling entities….and the rest will appeal to niche audiences. To survive, you need to dominate your niche…or, even better, invent your own. Even if you do want to ‘write for the market’, the safer idea is to invent your own market. You can do this through differentiating yourself with a distinct style and point of view, becoming such a remarkable writer that they can’t ignore you and developing your audience through a series of consistent actions over time. But do you have to do it before you get published? After you sell a book it generally takes a year for it to be published. For the sake of argument let’s say your book only takes six months to get sold and published. That’s still plenty of time to attend conferences, start a blog, and hit Twitter and Facebook every day if that’s what you want to do. You also need to give yourself time to climb the learning curve. It’s not enough to learn how to get on Facebook or Twitter, or how to set up a blog; you need to learn how to make your chosen forms of social media work for you, and how to leverage them off each other. This involves figuring out your own special cocktail of social media sites that play to your strengths (blogging and tweeting? engaging with people in various forums? podcasting? making videos?) and fit your personality. You need to play around and experiment. You need to make some mistakes and have a few failures. You need to figure out how to incorporate social media into your daily life in a way that you can live with. In a way that complements and helps to develop your creative life. If you resent the time you have to spend online, it will show. You’ll put in a half-assed effort, or you’ll move around with an obvious agenda, and this will turn people off. In social media, passion, consistency and authenticity rule the day. Without passion, you won’t be able to update your blog as often as you need to; without authenticity, people won’t trust you; without trust, you won’t have influence…and influence is the cold hard cash of the Web. Here’s the thing. An online author platform is about creating cool content and connecting with people. Does that really sound so horrible? Does that sound like a waste of time? A blog can be the ultimate teaching tool — not just for your readers, but for you. Blog not just what you know about, but what you want to know about. Blogging about a particular topic forces you to read and research it, not just to keep up with the conversation but to add to it…and maybe lead it (at least sometimes). Remember, you’re not bombarding the masses; you’re seeking to connect with people who are like you, who care about the things you care about, who want to read about the things you write about. Conversing with them, building a community with them — discovering your tribe members and calling them to you — can be stimulating, thought-provoking, and deeply rewarding in and of itself. It can be an invaluable source of support and encouragement. It can be a process of self-discovery. Who knows — you might start out to sell a few books and end up building your own digital empire and/or leading a social movement. The middlemen, the gatekeepers, are disappearing. The channels of distribution are blown wide open. You are in direct contact with your audience. Give them love, and they’ll love you back. And more. What are the elements of social media that appeal to you? How can you use them not just to develop your audience, but deepen your abilities as an artist? How can you use social media to actually help you with the project you’re developing right now? With the changing landscape of the publishing industry, we must all adapt new strategies. I remember when the web first started; nobody had a clue as to where it would go. E-Commerce was unheard of. Look at where we are today. The same thing applies here. It’s nice to be able to buy books online and go to an authors’ website to find out about them. But even if you are not published yet or have only a single short story published, it still behooves the investment of a website, Twitter, Facebook and other such media. After all, is someone wants to know about you how can they find out about you? Chance meetings in a coffee shop or grocery store; you exchange business cards with like minded individuals and you’re off and running. Remember, if you start a business you will obviously advertise BEFORE you open your doors. Why wouldn’t you take some time out to build your electronic presence while you are writing? Justine, I’m following right along with you. I’ve been blogging for a year and just ran a survey, asking my readers what they like, and putting the idea of a book out there. Terrifying, but part of the process. I watched that movie again a number of weeks ago and besides the cute little plot, the message was clear and would do us “audience builders” a lot of good. Rather than view each new connection as a “potential digital sale,” when we look at them as readers and people (often with similar interests as our own…I mean we did write in our genre for a reason right? ), for whom we can build community with, wonderous things happen. The personal and professional connections enhance our lives in ways we never expected. The old adage rings true: “if you build it, they will come.” But that’s an entirely different movie idiom. 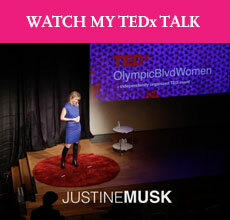 “influence is the cold hard cash of the Web” (Justine Musk). Oh… and here I was thinking that attention *cough* http://tribalwriter.com/2010/01/28/the-attention-economy-and-the-case-for-compelling-fiction-what-it-is-why-you-need-to-write-it/ *cough* was the currency of the internet. both. they’re different sides of the same coin. the more attention you have, the more influence you have. I happened to read Jane’s blog a couple of days ago, and the term “audience development” is correct. In a sense, you are both right that there is a need in building a community to help support you and your work. This is what audience development does. Audience is not a passive term like it used to be. Your audience can be active in many ways. What matters is how engaged you become with them in order to get them more involved. Here’s a question I’d like to see adressed. How do you use facebook? My facebook is rather personal and private, so what would I do if I wanted an “author facebook.” Would I create a new public facebook page, or would I make my first one more acceptable for public display. Fabulous post – really heightens the points I made in an excellent, instructive way. Thank you so much. My company happens to internally call my position at Writer’s Digest “Community Leader” — which helps me stay focused on the most important thing of all: servicing, engaging, and benefitting a community. Thanks again for the insightful post. Really good stuff. I’ve only recently started realizing that I needed to start developing this side of it. Hopefully I’m not too far behind the curve. Thanks for putting up some great information. Great points. Thanks so much. I tried to separate my private facebook and author facebook and just, well, gave up — life is complicated enough! I use Facebook a fair bit & really enjoy it. I use it to connect with people on a more personal level — we can get to know each other a bit — and post random stuff that interests or amuses me and have conversations often sparked by my twitter feed that my Facebook page pulls in. If my blog is a bit like a writing conference, or something, my Facebook page is a bit like going for drinks afterwards or hanging out at a cocktail party, more relaxed and informal. It’s a way to deepen connections a little bit. Plus it’s just fun. I don’t write or post anything too personal on the page, but I doubt I’d do that anyway. You could have a facebook fan page (as well as your personal page), but I think it makes sense to do that after you’ve already built up enough of a community that the page would be an active, thriving place — you don’t want to spam people to become your ‘fans’ but want them to join on their own (with a little nudge from you: “hey, I just started a fan page”). Another option is that you could make the fan page not officially ‘about’ you but something that you (and others) are interested in; it could be an extension of your blog that way. You’ll find that some people — your ‘fans’ — will follow you across the different social media sites, which is really cool, and it’s like each site gives a slightly new dimension of contact. I think you’re still ahead of the curve, or at least at the front end of it. I don’t think I heard the term ‘author platform’ for the first time until about a year ago (at least as applies to fiction writers) and there was not a lot of information about how to actually go about building one beyond a few basics, which was a reason why I started this blog (to apply what I was learning about social media in a way that is useful for writers, and to make sure I *keep* learning). Now that term author platform is everywhere, but it’s kind of like global warming: a lot of aspiring writers are still dubious about the general concept instead of accepting and tackling the project of it. And because it is such a long-term project, people who start now will have a big advantage over people who start a year from now. Thank you Shoshana. It is interesting how ‘audience’ and ‘community’ really are starting to overlap with one another — I can imagine that one day the words will be truly synonymous with each other. I love your post, Stephen. Never in a million years would I have thought to reference Groundhog Day, but I think you’re dead on. Plus now I want to see the movie again. Good point about how a business will advertise BEFORE it opens its doors…It’s like that maxim about how you should have your relationships in place before the sale…or how you need to win the hearts and minds of people first, before you win their money. Like it or not, writers are creative entrepreneurs now, and will only become more so. The upside is that we have so much more power over our own destiny now than ever before, and new things are possible. It’s a very exciting time to be a writer. At the same time, it’s more important than ever to be a *good* writer, since the good stuff does rise, and the rest gets lost in the clutter. So I wrote a novel. Actually three, as a trilogy. And I wrote them because the process was so much fun I couldn’t stop tapping the keyboard. As I finished part after part, I gave sections to blind readers and discovered with joyous surprise, that I was connecting with an actual reading audience! And then I thought, “Now what?” I knew nothing about book business except the traditional agent/publisher route which I soon found out is rapidly breaking down and being replaced by author’s proactive marketing. Meaning, writer’s blogs. And I learned I needed one, because as a fiction author, (an entertainer of sorts,) I was told I’m now an expert, and experts have content to “sell” or present as a gift…in BLOGS. And I pondered some more. Am I really an expert? If so, about what? Well, the topics of my novels, I know a lot about them, as in, trying to do the right thing and get through the day without hurting others or getting hurt, finding happiness, winning without selling out, telling the truth and making that work, stuff like that. So I guess my blog would be about…living. And of course, making mistakes. And it would have to be very personal, and very honest, and hopefully very mature. And then I found Penelope Trunk’s blog, and she does all that. She gets personal and deep and all exposed. And her blog-followers love her. And they tell her so. And others HATE her! And THEY tell her so too! And wow, those comments can be really mean! So the question remains, could I handle that? SHOULD I handle that? It’s one thing to disseminate content about writing or publishing, or kite building, or even how to score a babe-in-a-bar. But when you get serious and discuss matters that REALLY matter, from the heart, from those places of pain and vulnerability, you open yourself up as a target. ‘Cause as you peel the onion away, you may be pushing buttons. And I’m wondering, as I start this new adventure of becoming a button-pushing “expert,” will my soul-seeking journey on the internet be damaging? To me and to others.